Gabrielle Emilie le Tonnelier de Breteuil, born in Paris, 17 Dec. 1706 to a well-connected noble family, had every privilege for a little girl of her time. Her father, the baron de Breteuil was a favorite of the king, Louis XIV, and both he and her mother Anne de Froullay had relatives and friends who could help to advance the family’s interests. When she was eighteen, in 1725, they arranged for their only daughter to marry into one of the oldest lineages of Lorraine, a semi-independent duchy in northeastern France. 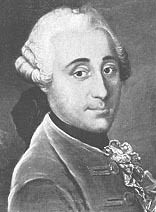 The marquis Du Châtelet brought his title but little wealth. For the first years of her marriage, the new marquise lived a very traditional life: she bore him a daughter and two sons, ran their first household in Semur where he was the military governor, and when it was appropriate enjoyed all the pleasures of Paris: dressing elegantly, going to the theater and the opera, gambling at the houses of her noble friends. Little is known about her early education. It is likely that she was allowed to study Latin and geometry with her younger brother, but otherwise she was self-taught. By the time she published her first book, Institutions de physique (Foundations of Physics) in 1740, she had read widely in Latin, English, and Italian in fields as diverse as moral philosophy, chemistry, physics, theology, mathematics, metaphysics, natural and experimental philosophy. The essay she submitted to the 1738 Royal Academy of Sciences competition “on the nature and propagation of fire” had been published, and she had been accepted as a member of the learned Republic of Letters. She gained additional fame when she bested the executive director of the Academy of Sciences on the issue of the proper formula for kinetic energy, saw her writings on science translated into Italian and German, and was elected to the Bologna Academy of Science. Just before her death 10 Sept. 1749 from a pulmonary embolism, a consequence of her last pregnancy, she had completed a translation of Isaac Newton’s Principia and her own commentary on it, that both corrected and completed many of the Englishman’s key hypotheses proving the role of attraction in the universe. Published in final form ten years later in 1759, as part of the excitement occasioned by the return of Halley’s comet– calculating a comet’s orbit had been one of the main proofs of attraction. Until the last decade, Du Châtelet was best known because of her two lovers: Voltaire, the French poet, playwright and philosophe, who was her companion for fifteen years, even after he took his niece as a lover; Jean-François de Saint-Lambert, the young soldier-poet with whom she fell in love in 1748. He was the father of her last child, the daughter who occasioned her death on 10 Sept. 1749. 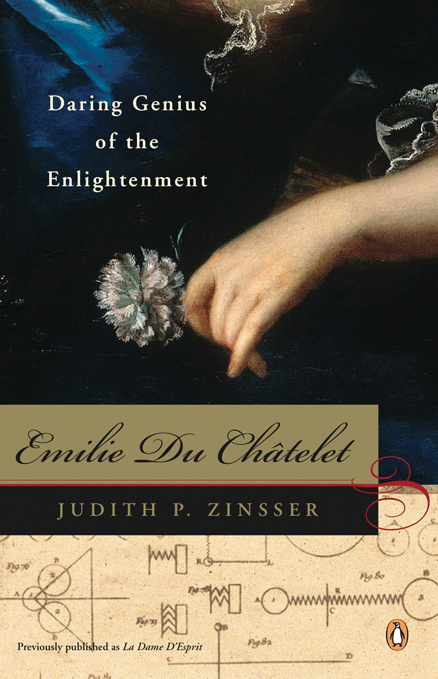 Du Châtelet is significant not only for her writings– hers remains the only full translation of the Principia in French– but also for what her life and accomplishments tell about the possibilities for a woman of her day. She read, studied, wrote, published, and gained recognition in a learned world meant to be exclusively male. That all but her amorous life was lost to history, her writings forgotten or attributed to others, demonstrates how fragile women’s stories are and how important they are to discover and tell. 1710 Significant writings of Leibniz are written, Essai de Theodicee sur la bonte de Dieu, la liberte de l’homme et lorigine du mal, which would influence Mme du Chatelet enormously. 1715 Death of Louis XIV, the family moves to Paris. 1716 Death of Leibniz, though Émilie is only ten young years old the writings of this now deceased metaphysician would greatly influence her life. 1725 Émilie marries Florent-Claude Chastelet. 1726 Birth of a daughter. 1727 Birth of a son. Death of Newton, a man who again would greatly influence her life and to whom she would dedicate much of her life by producing a translation of Newton’s Principia Mathematica. 1728 Death of Mme du Châtelet’s father. Voltaire publishes La Henriade. 1733 Beginning of a lasting friendship with Voltaire. Voltaire’s Lettres anglaises published in England. 1734 Lettres anglaises ou Lettres philosophiques condemned and Mme du Châtelet and Voltaire go to live in Cirey. 1735 Mme du Châtelet begins the translation of Mandeville’s Fable of the Bees. 1736 Mme du Châtelet works on Grammaire raisonnée along with Voltaire and Le Monddain. 1737 Mme. 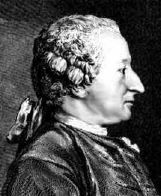 du Châtelet submits essay ‘Sur la Nature du fue’ to Academie des Sciences; works on Examen de la Genese (1737-42). 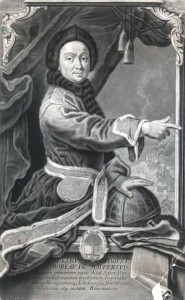 Voltaire writes Elements de la philosophie de Newton; works on Traite de metaphisique (1734-8). 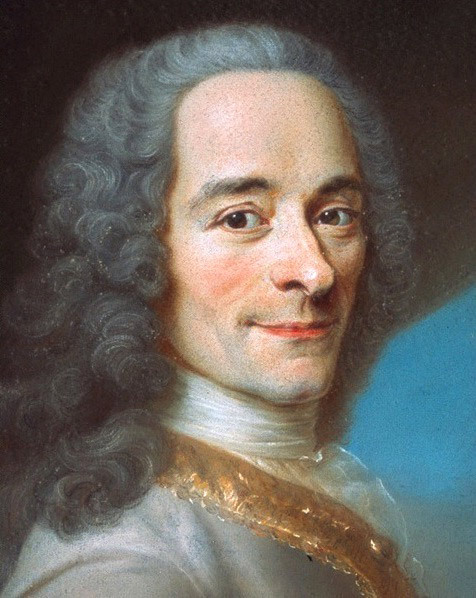 1742-45 Voltaire, Mahomet and Merope write Le Poeme de Fontenoy. 1746 Mme du Châtelet works on Discours sur le Bonheur. (1746-8). 1749 Mme du Châtelet completes translation and commentary on Newton’s Principia Mathematica. Mme du Châtelet dies on September 10th. Judith P. Zinsser. 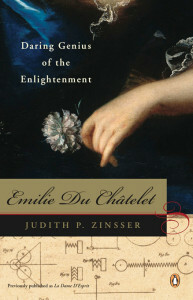 Emilie Du Châtelet: Daring Genius of the Enlightenment. New York: Viking, 2006. Judith P. Zinsser. Selected Philosophical and Scientific Writings (The Other Voice in Early Modern Europe) Chicago: University Of Chicago Press 2009. Elisabeth Badinter. Les Passions intellectuelles. Paris: Fayard, 1999. Mary Terrall.”Vis Viva.” History of Science 42 (2004): 189-209. René Vaillot. 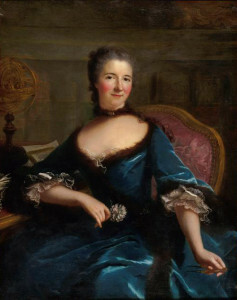 Avec Mme Du Châtelet. 1734-1749. Edited by René Pomeau. Vol. I, Voltaire en son temps. Oxford: Voltaire Foundation, 1985-95.